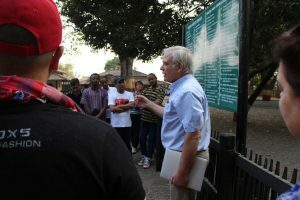 Daniel Taylor has been engaged in social change and conservation for four decades with a focus on building international cooperation to achieve ambitious projects. He founded the nine Future Generations organizations worldwide (including the accredited Future Generations University). He also founded and led The Mountain Institute. In 1985, after providing the scientific explanation for the yeti, he led creating Nepals Makalu-Barun National Park, then, in close partnership with the Tibet Autonomous Region, Chinas Qomolangma (Everest) National Nature Preserve and Four Great Rivers Nature Preserve protecting one-seventh of Chinas forest reserves. Just and Lasting Change: When Communities Own Their Futures 2nd Edition co-author Carl E. Taylor (Baltimore MD: Johns Hopkins University Press, 2014). Currently at press for publication 2015. Empowerment on an Unstable Planet: From Seeds of Human Energy to a Scale of Global Change, co-authored with Carl E. Taylor and Jesse O. Taylor (Oxford & New York: Oxford University Press, 2012). CAIRNS-A Novel of Tibet (Franklin WV: For Words Press, 2011). Community-based Conservation: Is it More Effective, Efficient, and Sustainable? Michael Rechlin and Daniel Taylor (Franklin, WV: Future Generations Graduate School Occasional Paper #27, March 2008). Primary photographer in illustrated volume: Robert L. Fleming, Liu Wulin, Dorje Tsering, Across the Tibetan Plateau, (New York: WW Norton, 2007). Just and Lasting Change: When Communities Own Their Futures, co-author Carl E. Taylor, (Baltimore MD: Johns Hopkins University Press, 2002). Photographs in Search for the Clouded Leopard, National Geographic Magazine,September 2000.
International Perspectives in Environment, Development, & Health: Toward a Sustainable World, ed. Shahi, Levy, Binger, Kjellstrom & Lawrence, (New York: Springer Publishing & Rockefeller Foundation, 1996). International Perspectives in Environment, Development, & Health: Toward a Sustainable World, ed. Shahi, Levy, Binger Kjellstrom & Lawrence, (New York: Springer Publishing & Rockefeller Foundation, 1996). Partnership for Social Development-A Casebook, (co-authors Carl E. Taylor, & Aditi Desai, Independent Task Force on Community Action for Social Development, (Franklin, WV: Future Generations & Johns Hopkins University, Dept of International Health, February 1995). Community Based Sustainable Human Development-Going to Scale with Self-reliant Social Development, co-author Carl E. Taylor, (New York: UNICEF, February 1995). Mountains, Nations, Parks, and Conservation: A Case Study of the Mt. Everest Area, in Mountains at Risk, Current Issues in Environmental Studies, (New Delhi: Manohar, 1995). The Rare Mountain Dog of Tibet, in Dog World; Maclean Hunter; Nov 1993. AGENDA 21, United Nations Conference on Environment and Development, Mountain Issues project drafting committee, A/CONF/.151/PC/100/Add.18 Rio de Janeiro, June 1992. The State of the Worlds Mountains, (London: Zed Books & Mountain Agenda, 1992). Mountains, Nations, Parks, and Conservation, co-authors Alton C. Byers, J. Gabriel Campbell, in (Dordrecht, Germany: GeoJournal, Vol 27, No 1, May 1992. KyiApso News, Editor, Tibetan KyiApso Club newsletter, Franklin, WV, 1991-97. Villaume, and John Eckman, (Franklin WV: Woodlands Mountain Institute, 1991). Summit Magazine, columnist writing on issues of mountain cultures, 1991 & 1992. High Himalaya-A Computer Generated Landscape Portrait, publication team member, Special Centennial Map Supplement, National Geographic Magazine, (Washington, DC: Nov, 1988, Vol. 174, No. 5). The West Virginia Scholar, Editor, a quarterly journal West Virginia Scholars Academy, Woodlands Mountain Institute, Vols. I, II, III, & IV, 1983-1987. National Parks and Protected Areas for the Hindu Kush Himalaya, International Centre for Integrated Mountain Development/ International Union for Conservation of Nature, co-author Tirtha B. Shrestha, Kathmandu, Nepal, 1986. Journal of Institute of Medicine, Kathmandu, Nepal, Vol. 6, No.3, September 1985. Journal of the Institute of Medicine, Kathmandu, Nepal, Volume 6, No.1, March 1985. The Barun Valley Report, The King Mahendra Trust for Nature Conservation & Woodlands Mountain Institute, Kathmandu, Nepal, 1984. Journal of the Institute of Medicine, Kathmandu, Nepal, Volume 5, No.2, December 1983. Journal of the Institute of Medicine, Kathmandu, Nepal, Vol. 5, No. 2, December 1983. Journal of the Institute of Medicine, Kathmandu, Nepal, Vol. 3, No. 2, September 1981. Journal of the Institute of Medicine, Kathmandu, Nepal, Vol. 2, No. 1, March 1980. Indian Journal of Medical Education; New Delhi, India, Volume XVIII, No. 2, July/Dec. 1979. Journal of the Institute of Medicine, Kathmandu; Volume 1, No. 2; August 1979. Population Education for Nepal, with Hem Hamal (Chapel Hill, NC: Carolina Population Center, University of North Carolina Press: 1973). Nepal Country Profile, with Rita Thapa, (New York: The Population Council,Spring 1972). Vasuda, Kathmandu, Nepal, Winter 1970. The Time is Now: An Annotated Bibliography on Population Education, with David Burleson, (New York: Ford Foundation, 1968). The Himalayan Journal, (Calcutta: Oxford University Press, 1968).